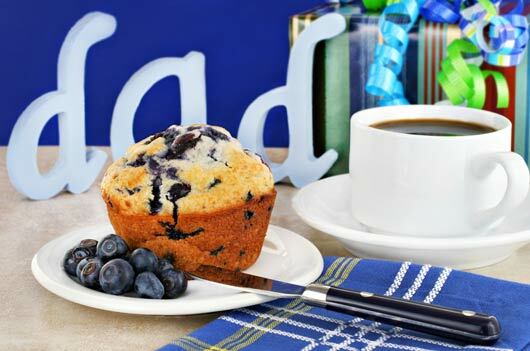 Mother’s Day usually gets more pomp and circumstance, so cooking up a homemade Father’s Day brunch is an excellent way to give Dad a little well-deserved pampering on his day — which was actually inspired by Mother’s Day. Washington State enacted the first statewide Father’s Day on July 19, 1910 but the concept didn’t really take hold, partly because the dads themselves thought the idea of being honored with gifts and flowers was too womanly. It wasn’t until WWII, when Father’s Day became a way to honor the troops, that it achieved the proper masculine tone though it didn’t achieve national holiday status until 1972. Today the holiday is big business with the National Retail Federation predicting, “…spending for dad is expected to reach $12.7 billion.” Instead of spending a bundle, try a few of these foodie Father’s Day ideas so he can just kick back and enjoy being king for the day.